1 oz. mini braids of my hand dyed semi-solids. 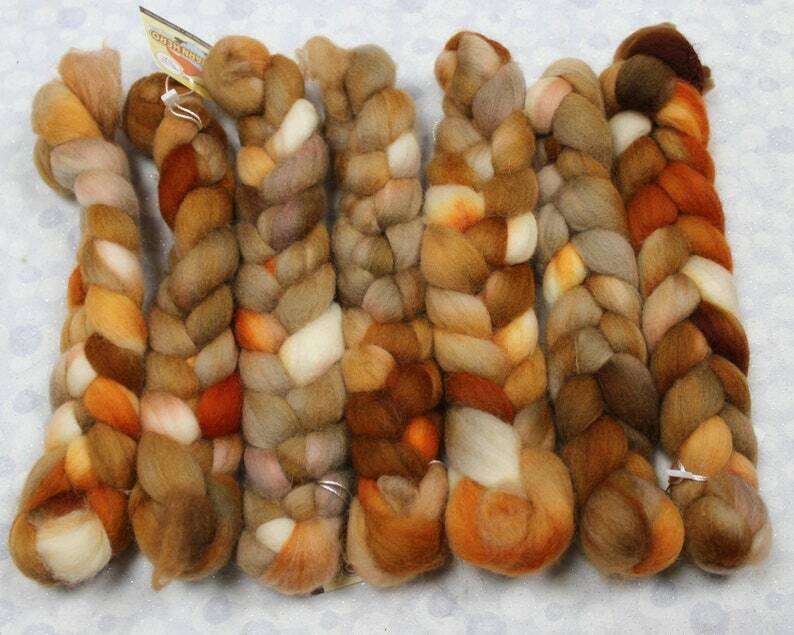 Perfect for needle felting, wet felting, spinning your own gradient yarn, fractal yarn, individual skeins for color work, or any small project. Super soft and squishy Merino wool top from non-mulsed sheep. Sold in 1 oz. braids. Mix and match for your perfect combination! NOTE: the photo shows multiple braids. This listing is for one (1) braid that weighs 1 oz. Choose the quantity you want at checkout. Size of braid is approx. 9" long by 2" wide. I only use professional colorfast, washfast, acid dyes. However due to the intense colors and high saturation of pigments, there might be a small amount of color bleed in your first wash. Always hand wash in cool water and lay out or hang to dry. I try my best to represent the true color, but please be aware that monitors do vary. Comes from a smoke-free but pet-friendly home.